The first thing we need when solving almost any problem with WTware terminal is terminal log. This manual is meant to help you save this log correctly. 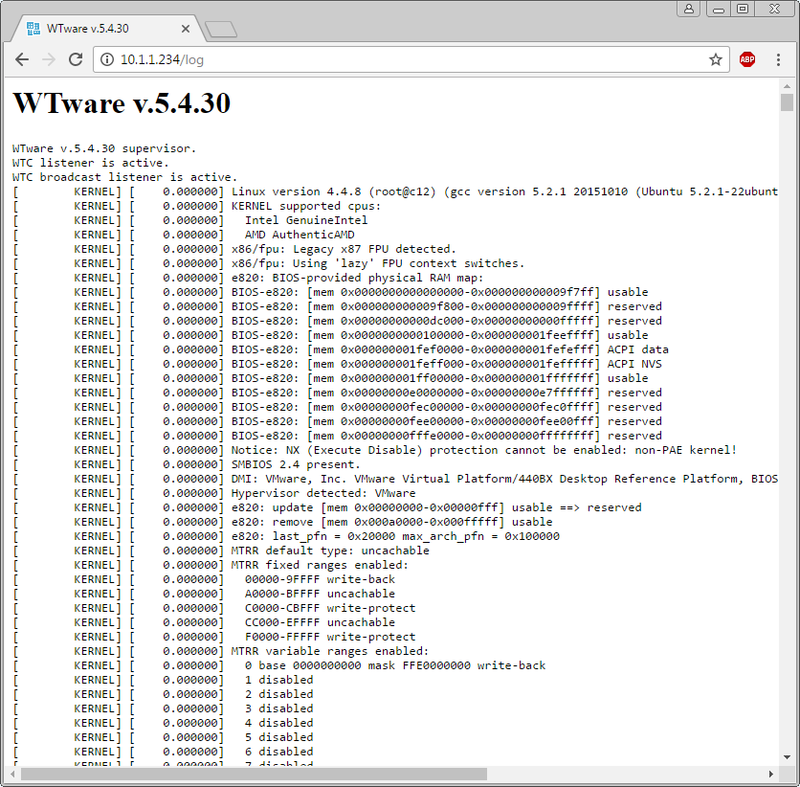 First of all make sure, that terminal boots with the newest WTware version. We can fix errors only in the latest version from our site. 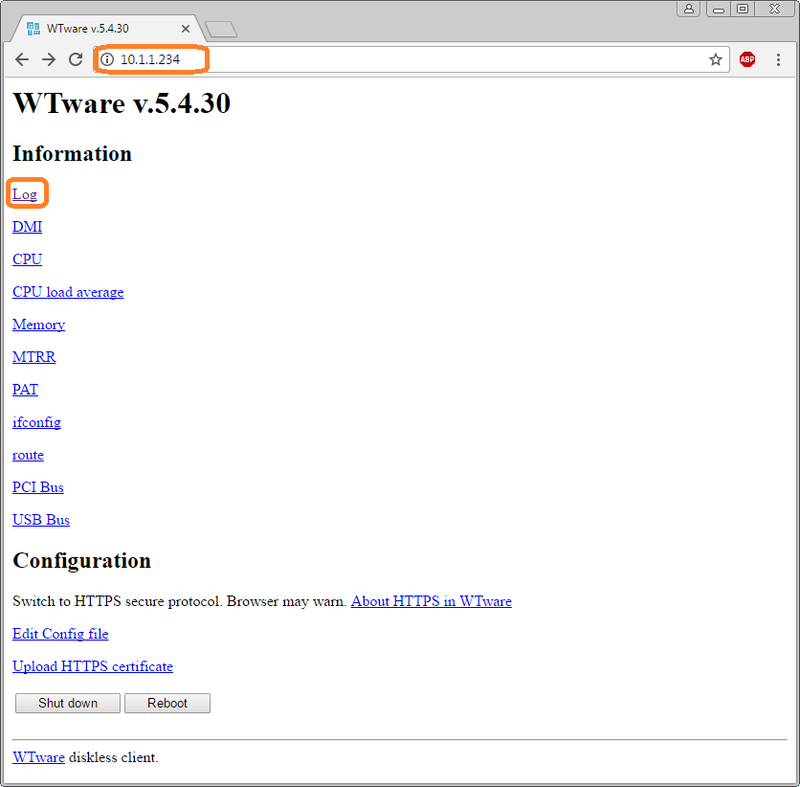 Here's the manual how to update WTware version on terminal. Remove all unnecessary lines from config. 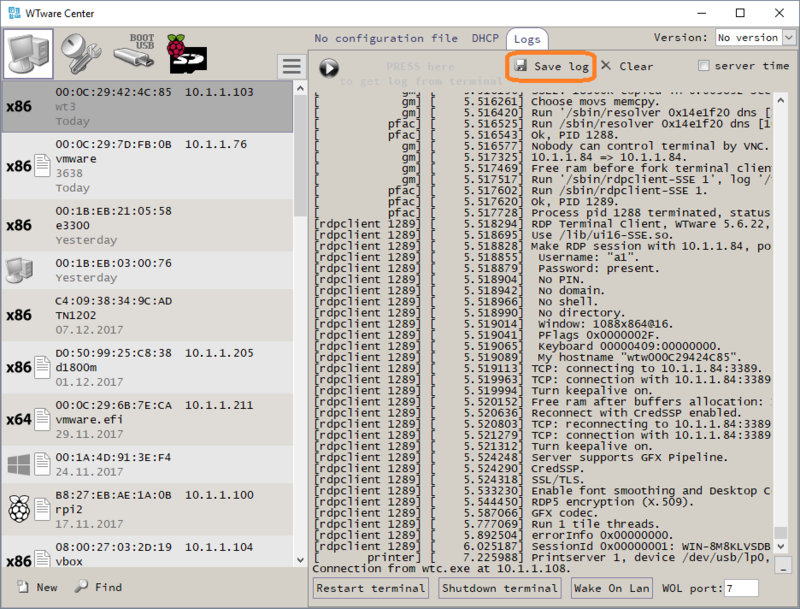 For example, if you have problem with usb barcode scanner, leave only server= and serial= parameters and remove all other lines. Reboot thin client. Logs may be large, and we understand nothing if you send us whole working day log. So reboot thin client. Make as few actions as possible to reproduce the error. Save log as soon as you see first error. Sometimes terminal stops to work before it connects to network. In this case you won't be able to receive log from configurator or by HTTP. Then you may save log directly from terminal. After the error you'll see command line. Insert empty, fat or fat32 formatted flash. Then in command line run: log, wait for half a minute, eject flash. If succeed, on flash will appear all.log file. Saved log with problem description send us to techsupport e-mail.